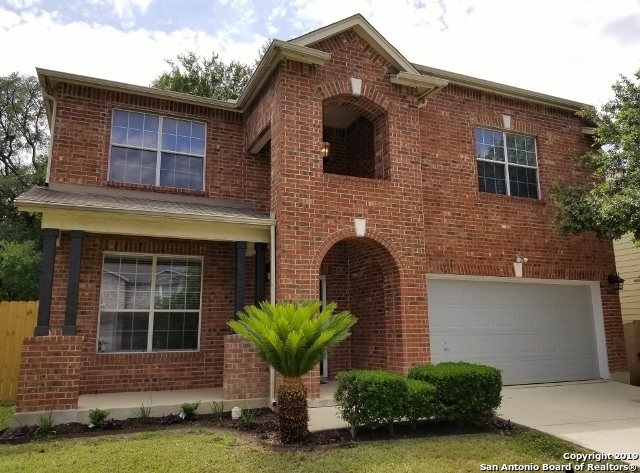 All Emerald Pointe homes currently listed for sale in San Antonio as of 04/22/2019 are shown below. You can change the search criteria at any time by pressing the 'Change Search' button below. "BEAUTIFUL AND SPACIOUS HOME LOCATED MINUTES FROM LOOP 1604N/ I 35N. THIS HOME HAS BEEN RECENTLY UPDATED WITH GRANITE COUNTER TOPS, PORCELAIN 20X20 TILE, FAUCETS, CARPET AND MORE. DECORATED IN NEUTRAL COLORS WITH HIGH CEILINGS, HUGE ISLAND KITCHEN WITH STAINLESS STEEL APPLIANCES, BUILT IN MICROWAVE AND BIG PANTRY. OVER SIZED MASTER BEDROOM WITH WALK IN CLOSET AND EXTENDED VANITY IN MASTER BATH. MATURE TREES AND GREAT CURB APPEAL." "BEAUTIFUL ONE-STORY BRICK HOME FEATURING 4 BED 2 BATH. OPEN FLOOR PLAN WITH ISLAND KITCHEN, BREAKFAST AREA, BLACK APPLIANCES,FAMILY ROOM. HUGE WALK-IN PANTRY AND UTILITY ROOM. MASTER FEATURES FULL BATH, WALK-IN CLOSET, TUB/SHOWER COMBINATION,DOUBLE VANITY. DOUBLE CAR GARAGE. GREAT FLOOR PLAN. 4 BEDROOMS OR A STUDY/OFFICE. DON'T MISS THIS GREAT HOME. NORTHEAST SCHOOL DISTRICT. CLOSE TO 1604 AND I35."